Vinyl-Back Cocoa Mats provide leak proof cleaning by brush action. 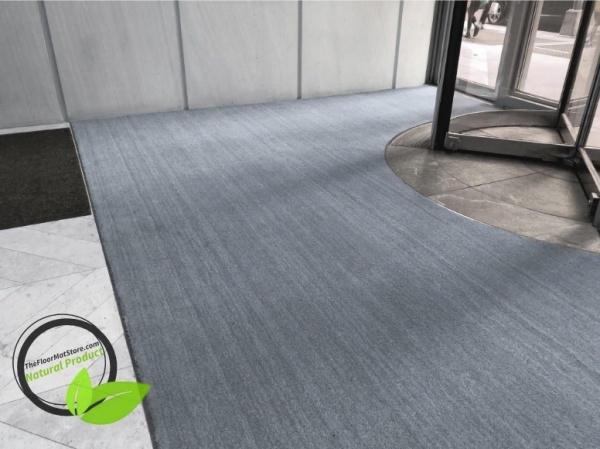 Made from the all natural fibers found in the outer husk of coconuts - fused with a vinyl backing in such a unique process that creates an extremely efficient and long wearing shoe cleaning surface.These mats can be easily trimmed to fit any shape or size entrance; Lays flat for recessed applications or be fitted with black vinyl bevels for above floor; is skid proof, stays in place with the vinyl backing.The tan color will not run when wet or fade in the sun. Cocoa Mats are ideal for recessed use. The cropped bristles come with an excellent scraping action. These mats clean dirt and water from shoes, won't mildew; dry rapidly or rot. Mats are also easily cleaned with a vacuum or washed with a mild soap and water. 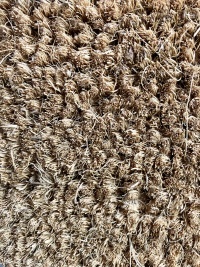 Description: Vinyl-Backed Cocoa matting - also referred to as Coir Matting. Available Colors: Golden Tan (call 330-650-5561 or email for quoting on custom colors). Available thickness: 11/16" standard. Also custom in 1/2" and 1-3/16". 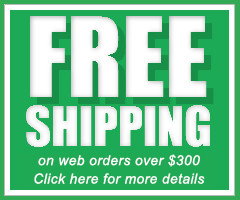 Black vinyl bevel edging available at $5.00 per ln. ft. Meets Department of Commerce Flammability Specs. DOC-FF-1-70; classified as a "B" rating under Test ASTM-E84-80. Not intended to be cemented down over large areas or used where excessive amounts of water are present (such as outside during a rainstorm). Water wicks down the fibre into the backing which could cause it to expand, creating ripples and/or bubbles. Mats are also easily cleaned with a vacuum or washed with a mild soap and water.